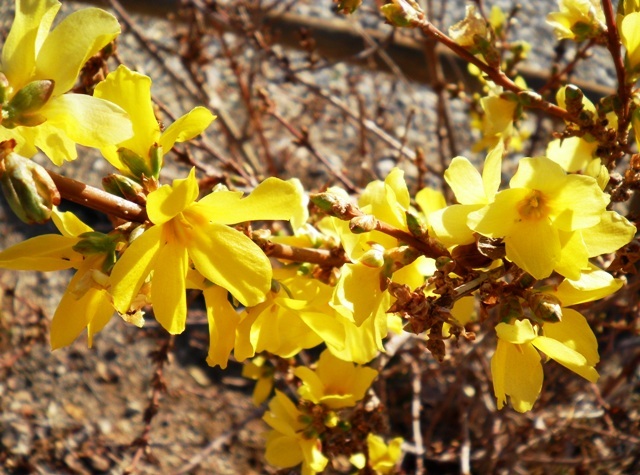 It seems strange that a time when the rest of the country is undergoing what must seem like eternal winter, here in my temporary abode in the high desert, spring has come. Yesterday was a lovely day, clear skies, still air, 80 degrees (just for a few minutes — it quickly dropped back to a frigid 78). Today was a bit cooler with cloudy skies and breezes strong enough to make me go chasing after my hat a few times, but still, the high of 65 was well within spring temperatures. 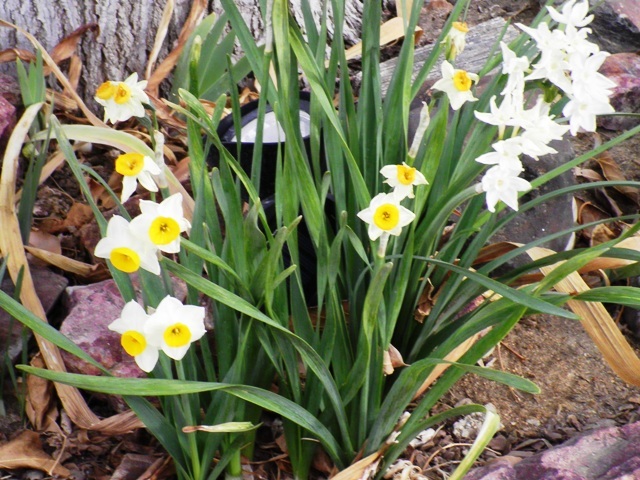 And even a few narcissus are preening themselves in readiness for the glory of the coming days. There is a new moon tonight, ushering in a time of rebirth, so that even if you’re bundled up against freezing temperatures, know that spring will soon be peeking around the corner. I will use the power of this new moon to break free of the ties of bad relationships, liberate my mind, and hope freedom will follow. I wish I was there right now, Pat. I wish I was in that abode and it was warm and comfortable and I didn’t need ten layers to get through the day.